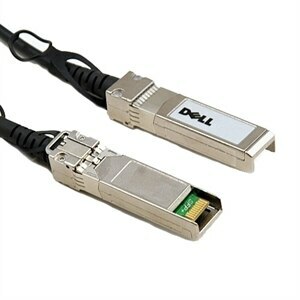 This Dell™ Networking QSFP+ to QSFP+ cable provides connectivity up to 10 m. For use in qualified Dell™ platforms. Dell Networking adds additional functionality to the optics and cables family with the introduction of 40GbE Active Optical Cables and support for additional optics with OS9.10 and OS 6.3. DELL'S NORMAL TERMS AND CONDITIONS APPLY AND ARE AVAILABLE ONLINE OR UPON REQUEST. While all efforts are made to check pricing and other errors, inadvertent errors do occur from time to time and Dell reserves the right to decline orders arising from such errors. The images used act only as a reference. All rights reserved. Other trademarks and trade names may be used in this document to refer to either the entities claiming marks and names or their products. Dell Inc. disclaims proprietary interest in the marks and names of others.